Glendale Cemetery Bell Tower - PRIME AE Group, Inc. Dating back to the Victorian era, the 60-foot tall, 15-foot diameter bell tower again stands proudly on the historic grounds of Akron Rural Cemetery. 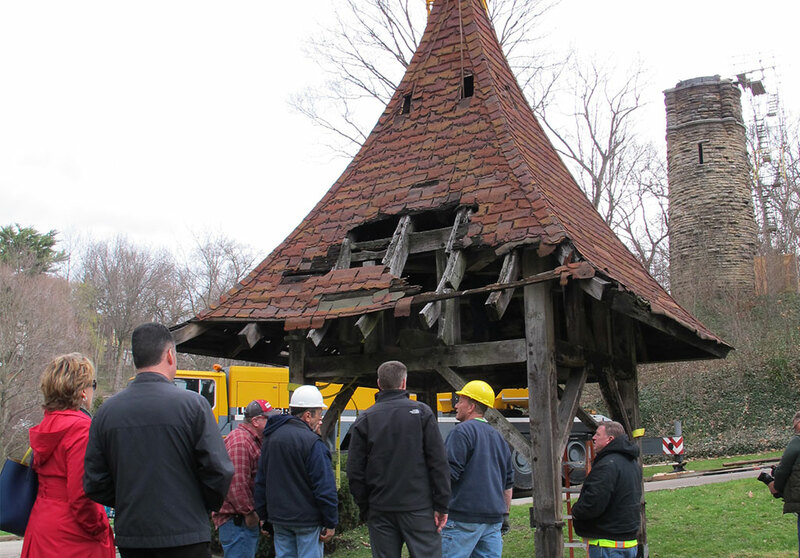 Built in 1883, the Glendale Cemetery Bell Tower was restored back to its stately structure consisting of a heavy timber roof construction and supported on ashlar sandstone walls, has an open belfry, surrounded by a wood railing, and is topped by a concave hipped roof. Just below the belfry are four evenly spaced stone turrets that project from the tower as half-rounds. 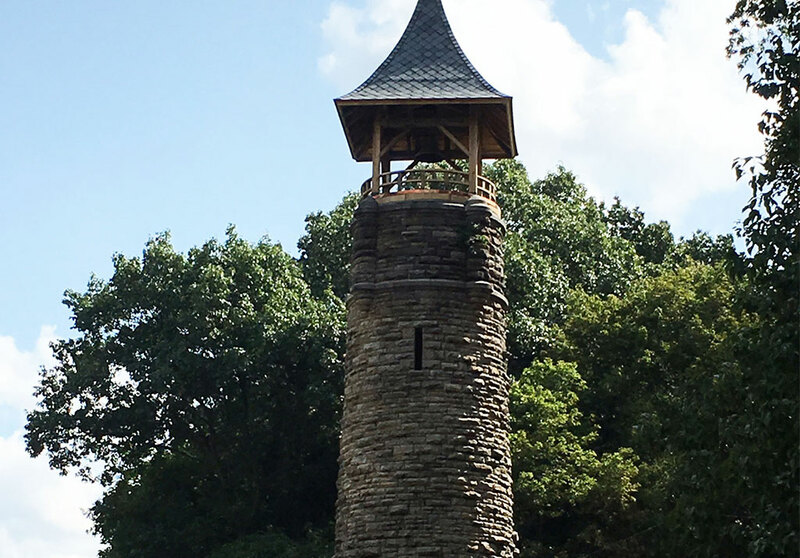 To extend the life expectancy of this historic structure, restoration plans included restoring the tower’s heavy timber bell and roof support structure, the roof framing and roof, the platform at the top of the tower, and the bell itself. LED lighting and floodlights illuminate the stone structure. The structure is listed in the National Register of Historic Places.